Few individuals in any community have contributed as much to the advancement of art and culture as Barbara Robinson. Her service to the arts—in Cleveland, throughout the state of Ohio, across the country, and internationally—inspires the highest admiration and gratitude. But most importantly, it is her service to the arts in the pressure cooker of the high-stakes political realm that must be recognized. 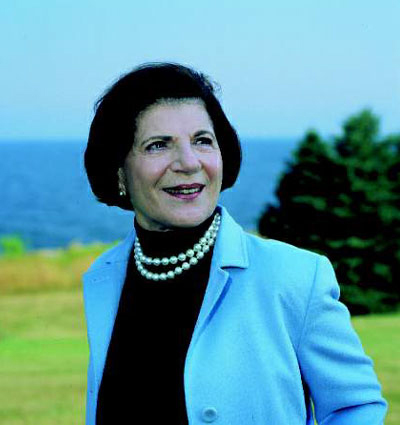 As chair of the National Assembly of State Arts Agencies (NASAA) during the George H. W. Bush administration, she coordinated the nationwide lobbying campaign that helped to save the National Endowment for the Arts (NEA), lobbying tirelessly on its behalf and testifying eloquently before Congress. It was thanks to her aggressive efforts that an arts component was added to the Education 2000 Bill, sending almost $200,000 over five years to every state in the union for the arts. The idea that the arts must belong to everyone has been in evidence throughout Robinson's career. While she has always been a staunch supporter of Greater Cleveland's major cultural institutions, as chair of the Ohio Arts Council (OAC) she helped establish programs that brought the arts to rural areas and supported folk and ethnic cultural expression. In 1988, Robinson began her unprecedented four terms as chair of the National Assembly of State Arts Agencies in Washington, where she soon became a potent force. She fought to have money for the arts included in many pieces of social legislation aimed at disadvantaged populations. She was named to the advisory council of the U.S. Department of Education and the board of the National Foundation for the Advancement of the Arts. And, when her fourth term as chair of NASAA ended in 1992, Robinson was asked to stay on as chair of its national policy committee. In 1996, she was elected chair of Arts Midwest, a nine-state organization that arranges tours and international exchanges and schedules rural and innercity outreach programs. Locally, she has served on the Cleveland Foundation's Civic Study Commission on the Performing Arts and the steering committee of the Community Partnership for Arts and Culture and as advisor to the arts management program at Case Western Reserve University. As a trustee of the College of Wooster, she chaired the committee that raised $5.1 million for the Scheide Music Center. And, under her chairmanship, the Cleveland Institute of Music (CIM) completed a $10 million campaign, surpassing its goal by 25 percent. This last accomplishment must have been particularly gratifying to Robinson, who began her career as a pianist—she has appeared as a soloist with the orchestras of the New England Conservatory of Music and the Boston Pops—and as a member of CIM's piano faculty.